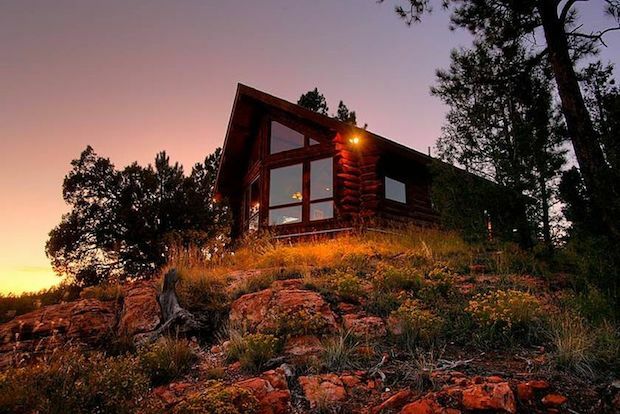 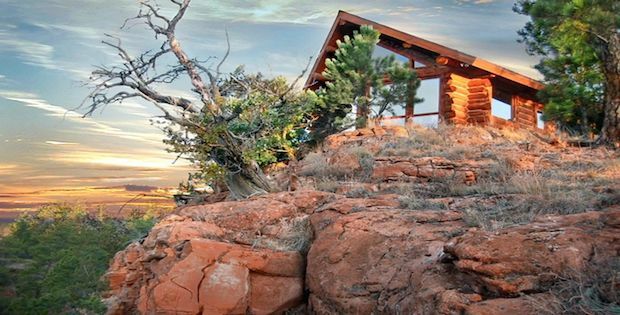 This log cabin in Custer, South Dakota is situated on a high cliff which allows for some of the most breathtaking views. 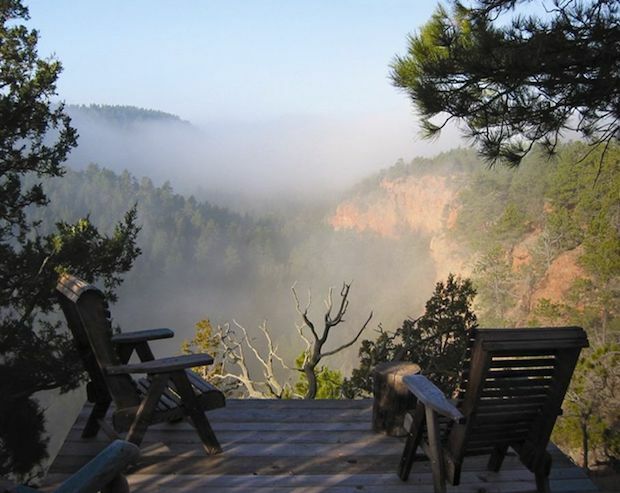 Yes, there’s a viewing deck where you will literally be on the edge of your seats, just make sure it will just be your jaws doing the dropping as you admire the mountains and hills that span as far as the eye can see. 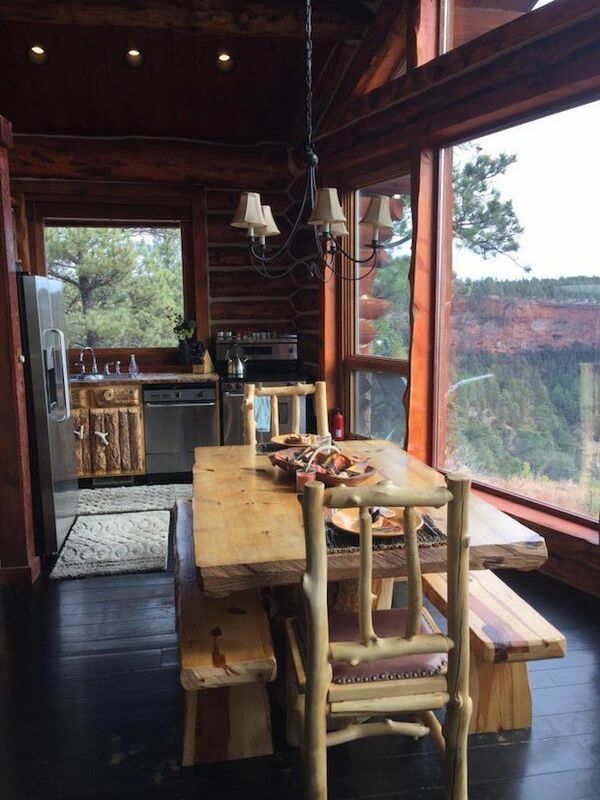 The interior features wooden backdrops for that classic log cabin feel; wide windows, some spanning from floor to ceiling, allow for great views of the outside while allowing for natural light to flood into the home for a warm and cozy atmosphere. 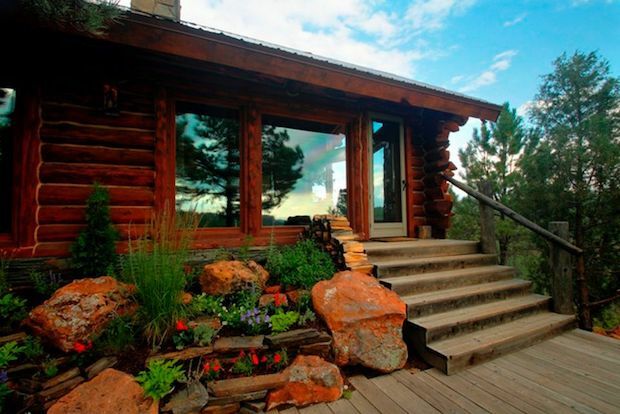 The cabin is for sized at 1,020 square feet and or sale at $550,000. 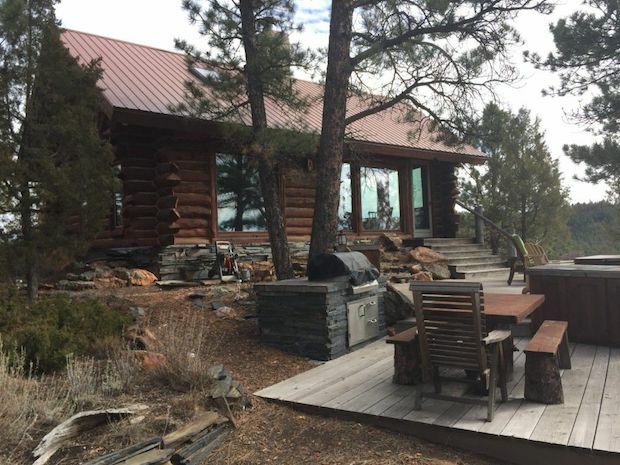 What I love about this home is that it sits literally on the edge of the cliff and I can just imagine how awesome it would be to sit in the hot tub and soak this all in. 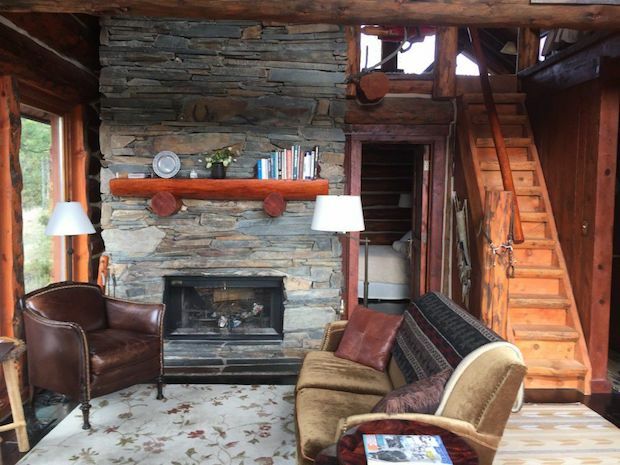 The log home itself is just enchanting.